The concentration of power has weakened Venezuelan institutions to the point that there are serious doubts about what kind of role they could fill in a political transition. What labor union could negotiate between workers and business owners? What role could be played by the military? What kind of negotiations could provide positive results in a transition? 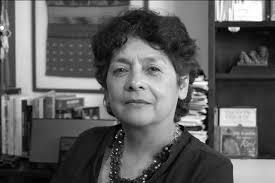 Margarita López Maya is a historian and university professor, author of books and essays that provide insight into Venezuelan’s political context. She argues that the search for a peaceful transition will face very difficult challenges. But she also asserts the importance of emerging organizations, such as NGOs, and the radical transformation of the media brought forth by social networks, which can effectively contribute to the democratic transformation of the country. “We need to open our eyes, because the democracies of the 21st century are not the democracies of the 20th century. They are a different type of democracy with different types of representation and mediation,” says López Maya. There is open debate, and given the collapse of public universities, private institutions such as the Universidad Católica Andrés Bello (UCAB), have stepped up to disseminate ideas and publish books and proposals. New actors are emerging and there is an incipient strengthening of political parties. There is new energy in efforts to revitalize the country. In the transition, the Catholic Church will play a key role, as well as Havana, which advises Maduro. But the role of protagonist falls on Venezuelan society. HP: In Timotes, a town in the West of the country, people destroyed the offices of the mayor and also looted the local state-run food supplier, PDVAL. They killed two birds with one stone. But beyond that particular case, what is your opinion about the recurrent looting incidents and the growing social malaise? MLM: A sense of malaise has been en crescendo for the last two years. There have been very strong signs of popular discontent with the socioeconomic crisis, in terms of scarcities and shortages, and in the collapse of people’s income because of inflation. In Venezuela there is a lot of fear of a popular revolt, and there are some groups that are counting on it: a great Caracazo in order to precipitate the end of Maduro’s government. Since 2014 I have been trying to explain that socioeconomic discontent is one thing; a popular revolt of the dimensions of the Caracazo is another. The abundant research on popular revolts, which has been used to study cases around the world, says that socioeconomic conditions are necessary but not sufficient causes of revolts. The latter, in general, are unpredictable, but a combination of several elements is crucial. MLM: There are several things which, in the case of Venezuela, are already present. One is de-institutionalization. Here there are no institutions that respond to and resolve social conflict. For example, there is not a single office in any ministry where citizens can go and complain about the lack of water or electricity. There is no certainty that if you fill out a form, after four or five days you will have an inspector at your home checking out the plumbing or the electric connections. There is no such a thing, those things have collapsed. There are no institutions that you can trust to solve your problems. This incapacity produces street protests regarding very simple things that any modern, moderately efficient, state should be able to attend to. And there are more serious issues such as the mediations of interests and demands of different social sectors, from entrepreneurs to the poor. We lack channels of representations that can provide a robust, horizontal engagement of the government. Not only do we not have those channels, but the actors are weak and do not work together. HP: There are no interlocutors and no dialogue. And this fact creates a Pandora’s box from which all sorts of conflicts of varying kinds and degrees appear and exacerbate the crisis. MLM: That’s right. But allow me to finish what I was saying about institutions. I believe there is one instance that is preventing a popular revolt from happening: the state security forces. The repression of the population we see now was not there before the Caracazo. The day that revolt started on February 27, 1989, there were no police officers, much less military officers, on the streets. The revolt started in the early morning hours of that Monday and the government did not really react until Tuesday noon. But it was the Interior Minister Alejandro Izaguirre, and not the president Carlos Andrés Pérez, who almost fainted on TV when he was addressing the events. MLM: The declarations of Carlos Andrés Pérez, after the fact, saying that he had not understood the magnitude of what was happening until Monday night, tells you that the government was not prepared for such a situation. But the Maduro government has over two years keeping watch over any protest that might occur in order to repress it or prevent it from extending and has been able to control the mass media, with the exception of social media. In the plains states, for example, [government] Channel 8 is practically the only open signal television channel, and people do not hear about the conflicts and disturbances in lines at supermarkets and pharmacies. HP: Is the government on its guard? MLM: It is putting out fires all around Venezuela. At times the situation seems to overwhelm the government, as for example it happened recently in Puerto Ordaz or Maracaibo. If the current levels of scarcity and impoverishment continue, with some schools already reporting cases of hungry children, with people reporting that they are eating two, instead of three meals a day, if this situation continues, then we will reach a point where security forces will be unable to contain the people. Up to now, the security forces have been able. The fires are being put out, but the situation continues to deteriorate because the government is not solving the problems. HP: Is the government playing with fire? MLM: I believe it is, and on several fronts. It is playing with fire by not recognizing the expression of popular will that demanded a change on December 6 last year. It has decided not only to not to recognize that expression and drive itself off a cliff by deepening “its revolution,” both in language and in praxis. It has continued coercing productive sectors, it is choking off Polar, which is closing more and more of its productions plants. At this moment Polar must be processing 70% of the precooked corn flour for the arepas with margarine MAVESA –a brand also produced by Polar, -which is what most people are eating now. What are we going to do? The government is playing on several different fronts. HP: And what can you tell us about the political front? MLM: That could also be an element that has contained violence. The December 6 elections opened a door for hope which, in my opinion, has not yet been closed, even if polls show that people had high expectations and that those expectations have not been fulfilled. But independently of what people say, until now they have shown that they do not want violence. They want change to be peaceful and they are betting on a peaceful transition. Last Wednesday’s manifestation called for by the opposition Mesa de la Unidad Democrática (MUD) to ask the electoral ruling body CNE to abide by the Constitution, to do its work and not act as a subservient agency of the Maduro government, had a good turnout, considering current levels of intimidation. The government responded with over the top levels of force, with police officers dressed up like Robocops, also with police women in uniform. And here is where the government lost; there was no violence. The opposition leadership was able to control the situation. No armed groups showed up, perhaps because the protests took place in the opposition dominated Baruta Municipality. In any case, I think the government is boasting of a force it doesn’t seem really to have. HP: You have warned that if the crisis deepens, the security forces will not be capable of containing the popular protest. Could there be a spontaneous outburst? Would it be a combination of different factors? What’s your take? HP: That doesn’t solve the political problem. MLM: Chavismo was supported at the urns for 15 years. But you can’t expect Chavismo to just nicely leave power a year or two later, because it has controlled all the political powers. Political timing is slow, and many who today are discontent, yesterday voted for Chavismo. Citizens also are responsible for this. Chavismo is entrenched in power because it controls all public powers, with the exception of the National Assembly. To dismantle this will not be fast or easy. MLM: I believe that is the situation. In Brazil, Dilma Russeff has been suspended; well they have institutions that work over there, but that is not the case here. Or better said: here those institutions work in favour of the executive. Therefore a political solution is difficult. But it is not just citizens who are responsible for this situation, the political actors who propitiated it are also responsible. Because they withdrew from the parliamentary elections in 2005, which allowed for the delusions of control and the deepening of the revolution that Chávez unleashed afterwards. The opposition has been rebuilding, and it is trying to manage an adverse situation. HP: What is the opposition proposing? MLM: It is necessary to play in two fronts. Citizens have to back the political actors, but not unconditionally. And the leadership needs to understand that the priority at this moment is to satisfy the needs of a population that is on its knees and subjected to a brutal impoverishment. A good example is the university system. I am a full professor of the Universidad Central de Venezuela, and my salary is below the poverty line. But that is not on the agenda right now; the important thing is a democratic transition. Both the political parties and the business sectors have to make sacrifices. HP: But these things are not part of the agenda; there are no priorities and no specific points. Who is setting the agenda? MLM: It is mutual. I do see that the National Assembly has been convening different actors, to commissions, and even to assembly sessions, so they can speak out. And they have been trying to satisfy a society that is very weak and fragmented. Take the case of the unions, for example. There are several big unions here, but they don’t seem to agree on even unimportant issues. There are three or four big unions backed by the government to deal with the union sector. And that makes for enormous difficulty in a democratic transition. Who will represent the interests of the workers in a transition? How will their interests be taken into account so that all the weight of the crisis and the economic adjustments do not fall exclusively over the shoulders of the poor of this country? HP: Is this something the MUD needs to work on? MLM: The problem is that the parties that form the MUD are very diverse. They have very different diagnoses of the situation. They have managed to build an efficient electoral machine that allows them to fare better in each successive election. That machinery allows them, according to the polls, to gain more trust from the people every day. But as I said, the timing of politics is slow, and I think there is a lack of generosity and vision when they sit down to assess the leadership and who is in charged of setting the agenda. All successful experiences of democratic transition in Latin America have implied pacts and sacrifices between business and political sectors. This is fundamental. Here the business sectors seem to be disgruntled, but if Maduro calls them to Miraflores and gives them dollars, they go. It’s part of business, they might say. But what are we to think of this? If we want to get over this democratically, they will have to make sacrifices so that the workers don’t bear all the weight, all the consequences of the brutal adjustment policy that will come. Are they willing to make those sacrifices? HP: The business sector however is just as weak and as disorganized as the unions. MLM: That is the tragedy we are living now. At this moment we are putting everything on the shoulders of the political actors, because they are probable the most robust sector right now. However there needs to be an articulation of the different sectors in Venezuela: unions and business, workers and poor people. We have never had solid representation of the popular sectors. They were always co-opted by political parties. And for the most part, professional and worker’s unions were too. We need a commitment to create a more solid democracy that can guarantee the autonomy of civil society. HP: Why are these issues not being talked about? Why are such agreements not being discussed? MLM: I think because of the sense of urgency, because we are desperate to solve the problems as soon as possible. But unfortunately I think that these problems cannot be solved like in this way. And if we do it in this way, we will solve them badly. I also think that the levels of desperation have become very visible because they are something very consistent with the middle class. The middle class feels desperate because it has been excluded for almost 17 years, and now it has levels of income that bring it closer to the poor than to the higher classes. They have lost their standard of living, their values, their consumption levels. This is a sector that sustained democracy from 1958 to 1998, and has lost the recognition of the society. They have lost income and comfort, and this has been made very visible in the media, much more than the needs of the poor, who went hungry during the 80’s and the 90’s, among other things because of the hoarding and scarcities that preceded the Caracazo. HP: Somebody must be serving as a support for the Maduro government: not the middle class, not the business sector, not the workers, not the popular sector now co-opted by the Socialist Party (PSUV). HP: Yes, and I will allow myself to propose an answer: the military. MLM: The military. Maduro is sustained by the military sector, but also by a group of tribes, of political families that are drawing benefits from their links to the state, that have very important interests in the state, corrupt political families that are enjoying complete immunity. MLM: The government is highly militarized, in the sense that it has been penetrated by the military sector. They now enjoy a role as protagonist that they did not have in the previous democracy, or even during Chavez’s period. They now control very important power spaces and money. I mean of course the top sectors of the military. HP: Could the referent for this be the dictatorship of Pérez Jiménez? MLM: No, because the dictatorship of Pérez Jiménez was not a personalist government such as this one: in that case it was the rule of the military institution. Today it is not the military as an institution that is governing. HP: Let’s say that it is inside the government. MLM: Yes, but is has also been hijacked by powerful ruling groups. It is an institution hijacked by military mafias that control contraband and very lucrative business interests. Remember that it is an institution that has been purged several times. And if we look at military promotions, Maduro has continued Chavez’s policy of only promoting loyal officers. There is a sort of mutual hijacking. The military has hijacked Maduro and he has hijacked the military. I believe the high command, even though this is an issue about which much remains in the dark, does not represent the military institution. So at this moment there is not actually a military institution governing. What we see are groups within the military that share illegal interests with the government and that enjoy immunity. The officers that are not connected with the corruption networks, the ones in the barracks; they are suffering from the same shortages, the same scarcities as the general population. They probably have sons and daughters attending the opposition marches and families complaining because they have to queue for food. I believe that there is also a lot of discontent there.